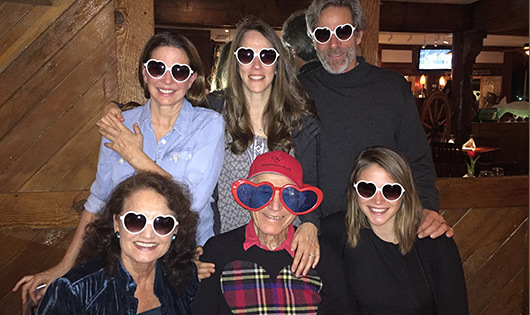 As many of you know, I happily became 90 years young on Feb 11th. What most of you probably don’t know is that I became an eight-hour a day – five days a week student on January 7th for seven weeks. I have advanced glaucoma and through my VA medical benefits, I became a residential student at the VA Western Blind Rehabilitation Center for low to no vision self-reliance in all aspects of life. I learned everything from safety, mobility, solo travelling, to personal, home, and office organization to technology with my computer, iPhone, and over a dozen other ingenious independence-enhancing gadgets. When people ask me how my vision is, I tell them that my spiritual vision is getting better all the time. Attitudinal Healing has been extremely helpful along the way. I have always known that it is important for our own healing, but never did I imagine that it would be so important at this stage in my life. I have never felt psychologically or emotionally better nor have I ever been happier than I am today. I do my best to practice the Principles of Attitudinal Healing every day and I continue to remind myself that my attitude is everything. I do not feel like I am a victim of the world I see or experience with my eyes. The first Principle, “ the Essence of my Being is Love” continues to reinforce my belief that my true identity is a spiritual one and not limited to just being in a body. I continue to remind myself as best as I can that my mind knows no limitations; that I am not my past or future; and that I can choose to live and love in the present each and every day. Attitudinal Healing has helped remind me that when I am in a consciousness of giving, when I am practicing forgiveness and free of judgments of others and myself, I am at my happiest. Am I happy and peaceful all the time? No. I know I am still a work in progress. But I feel I am doing a pretty good job at not getting stuck in guilt and blame and shame and I am not listening to my ego’s voice of fear, conflict, and despair. There is no way of sharing with you how full my heart is with gratitude for so many people who have proven to be my teachers. 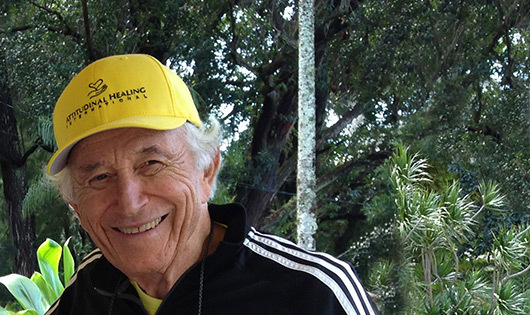 The original children at the first Center for Attitudinal Healing in Tiburon, California, are the reasons I got over my fear of dying. They showed me the way to really live through their courage and insights. I stopped drinking alcohol during the same time, in 1975, and if I had not done that, I do not believe I would now be in physical form. My life partner and my love, Diane, has been an amazing teacher of patience and gentleness and forgiveness over these last 34 years. In sharing our joint spiritual journey and commitment to practicing the Principles, our relationship and our marriage grows deeper daily. Lastly, I want to share that when I was a kid, people tended to pass on in their late fifties or sixties. I have never experienced age as a number. I am blessed beyond words with all the experiences and the love that continues to be extended to me on my life’s journey from the thousands of people I have met. My gratitude has no measure. 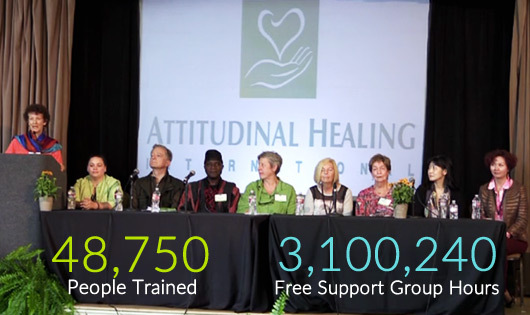 Since its inception in 1975, Attitudinal Healing (AH) has become a widely recognized, replicable model that has been successfully used for over four decades in dozens of countries on six continents. Today new generations are navigating the challenges of life with greater ease and resilience by adapting the Principals of Attitudinal Healing to the present needs of their families and communities as well as their own personal growth. Attitudinal Healing provides access to powerful tools for making healthy choices and creating positive change. So far in 2015 alone Stichting Centrum voor Attitudinal Healing in the Netherlands has introduced the Power to Choose youth program in kindergarten and has completed a second Facilitator Training in Bethlehem. The AH Africa community, now including members from ten nations, has launched a monthly newsletter called “Africa Heartbeat.” AH China continues to offer monthly WeChat webinars to thousands of subscribers and has organized their fourth facilitator training in three years. 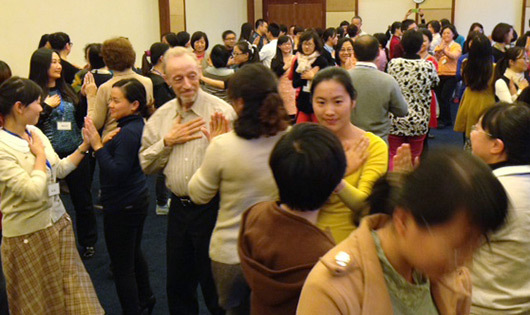 AH Japan has offered a new workshop using Attitudinal Healing to address political issues. AH Western Australia has partnered with their local Alzheimers Association to offer a symposium on caring for people with dementia. Contact us with your creative ideas on bringing Attitudinal Healing to your community and we will let you know how we can support you. 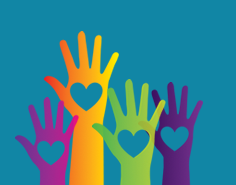 The AHI team works side by side with existing and emerging Centers for Attitudinal Healing, as well as organizations, institutions, and communities worldwide. AHI works toward a world where each person has access to the powerful and time-tested Principles of Attitudinal Healing in order to comprehend and experience the value of choosing peace over conflict, joining over separation, and love over fear in all aspects of daily life. If you'd like to help make a difference, please join us in this work! AH International is a 501(c)(3) non-profit funded and supported through tax-deductible donations. Through our numerous ways to donate, your donation can truly make a difference! We value your partnership and generous financial support - every donation is deeply appreciated.